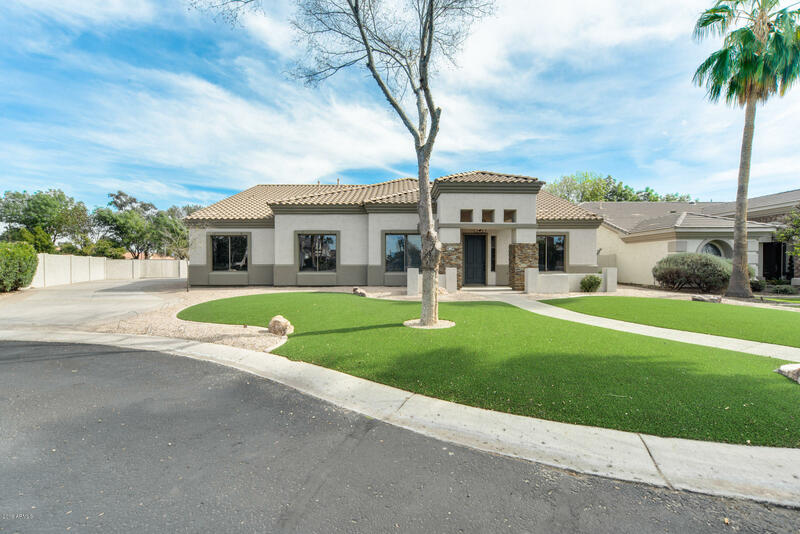 You will not want to miss this stunning home located in Mesa! Approaching the house, you will be impressed with the curb appeal and the artificial turf. Low maintenance and beautiful! Throughout the home there is beautiful tile flooring and wainscoting, enhancing the living space and adding a special touch throughout the house! The kitchen is remarkable and will be centered around entertaining friends and family! Stunning countertops, white cabinets, an extra large island, stylish backsplash, and pendant lighting complete the room. Your living room has a floor-to-ceiling stone fireplace to cozy up by on the cooler evenings. Your master suite is complete with a spa-like master bath that has everything your heart desires! Step out to the backyard where you can have fun with your guests!